Welcome to the Next Generation of RV Resorts. 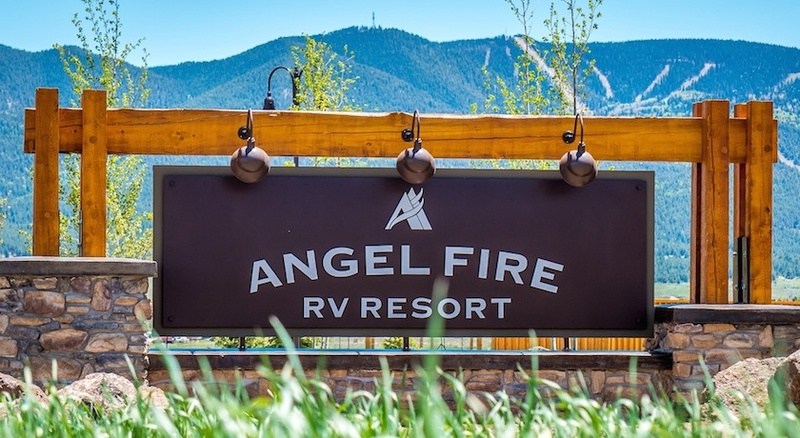 Angel Fire RV Resort is a state-of-the-art park at the Southernmost part of the Rocky Mountains. It's your home for a night, a few nights, or a lifetime! It might be the only place worth being besides the wide open road. Cancellations must be made more than 72 hours before day of arrival. Prior to 72 hours refunds will be given less a $25.00 fee. Cancellations inside the 72 hour window will receive half refund, less the $25.00 fee. Cancellations day of or after check-in, no refund. Reservation deposits for holiday dates are Non-Refundable. Holiday Weekends: Memorial Day, 4th of July, Labor Day, Thanksgiving, Christmas and Spring Break in March. A 50% deposit is required on all reservations at time of booking, with the balance due taken day of arrival. Check-in is 1:00pm or after. Please check-in at the Gatehouse during 9:00am—5:00pm. For After Hours Check-ins, please contact our Front Desk for the procedure: (575) 377-4471. Check-out is 11:00am or before. There are no refunds for early check-out. You will be charged for the entire length of your stay. The only exceptions are a sickness which will require a doctor's note or bereavement. Well-behaved pets are welcome! We have a wonderful dog park for your furry friends. We do ask that when sharing the dog park with other guests, your dog must be spayed/neutered and not a known aggressive breed. Otherwise, you are free to use the park when no other guests are inside. Please ALWAYS keep your pet on a leash when outdoors. And remember, you are responsible for picking up and properly disposing your dog's poop! ALL the guests will appreciate this. All sites offer full hook-ups including water, sewerage, digital cable, WIFI. All sites except Mountain View Sites have 20/30/50 amps. Mountain View Site have 30/50/50 amps. Additional gear, supplies, and gifts may be purchased at the Gatehouse Store. This is a gated private facility. RV Resort guests have the ability to charge to their reservation account at any of our retail and food & beverage outlets. Incidental charges are the responsibility of the guest. Your signature confirms authorization to use your credit card for accommodations and incidental charges incurred on your account during your stay. Smoking is not allowed inside any building or within 35 feet of any of these buildings. Your children will love our abundant resort amenities! Children are welcome at all but the Executive Sites, which are reserved for guests 18 and older. Please have children under 12 accompanied at all times. And please have your kids pick up after they play.